Battelle and SMT have forged an alliance to further develop and commercialize a tool that works to detect cloned or counterfeit electronic chips. 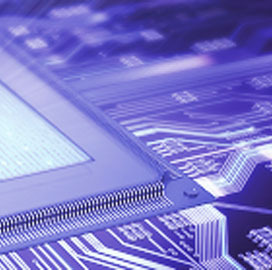 Battelle said Thursday its Barricade platform consists of a hardware and software system that works to verify the authenticity of an integrated circuit based on the chip’s electrical signatures and classification algorithm for each class of electronic components. Under the agreement, the nonprofit company will use SMT’s test samples of counterfeit devices to conduct development tests on Barricade. “We are excited to partner with Battelle in advancing their Barricade technology to protect government supply chains and the semiconductor industry,” said Tom Sharpe, a vice president at SMT. Barricade is designed to work with digital and analog systems, according to Battelle. © Copyright 2015, All Rights Reserved. Part of Executive Mosaic Network. ExecutiveBiz is dedicated to covering the government contracting sector from the perspective of the executive.